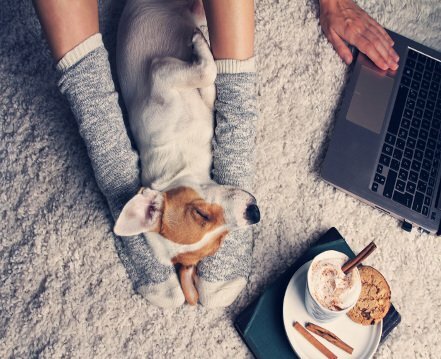 How much does dog sitting in your own home cost? As for any dog sitting option, it’s important to work out how much dog sitting in your own home will cost in order to avoid any unforeseen expenses. There are various costs that you need to take into account. When someone registers as a pet sitter, they can set their own fee for each sitting and each animal. So for dog sitting in your home you will see that different sitters charge different amounts. Some sitters charge less in order to attract more business while others prefer to charge more due to their greater experience and/or because they offer a higher quality service. Whichever is the case all our sitters do this work because of their love for animals. If the dog sitting is taking place in your own home, then the sitter will of course have to travel to your house/flat. So in your budget you’ll need to plan for the sitter’s travel expenses if you go for this particular sitting option. These travel expenses will take the form of mileage calculated on the basis of the distance between your home and that of the sitter. Naturally the sitter may choose to travel by car or public transport depending on their circumstances. In any case, if you choose dog sitting in your own home, you must include the sitter’s travel expenses in your calculation. However you will only have to pay for one return journey between your home and the sitter’s. The sitter will have to cover the cost of any other journeys (such as their journey to work or for other activities) during the period of the dog sitting. If you’re away a long time, the dog sitter may run out of dog biscuits and need to buy extra. If your dog falls ill, naturally the sitter will need to take it to the vet, resulting in possible vet fees and the cost of any prescribed treatment. For any of these additional expenses, the dog sitter is expected to keep receipts, in order to request a refund from you on your return.